Is love central to our happiness and personal growth? How can we find it, nurture it, and keep it alive? 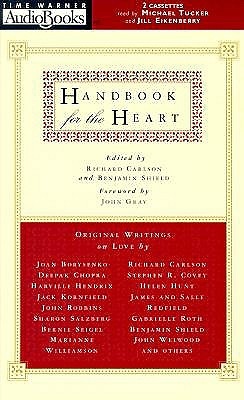 In Handbook for the Heart, 34 of today's best known and bestselling spiritual teachers attempt to provide the answers. Here are Nathaniel Branden on Valuing Love, Leo Buscaglia on A Celebration of the Heart, Deepak Chopra on Heart Sounds, and many more--an unprecedented compilation of inspiration and advice for anyone who wants to explore the enduring power and spiritual significance of love.